One of the women says that the refusal to attend the suicide awareness charity event was ‘devastating’. TWO TRAVELLER WOMEN, who had both been widowed due to suicide, have won a case against a Kerry bar. Linda Mongan and Margaret Rose O’Neill took a case to Killarney District Court after being refused entry to an event that was raising funds for suicide awareness charity Aware. Both had purchased tickets in advance, but were told by the doorman that no such charity event was on, despite them witnessing many people entering the venue for the event. 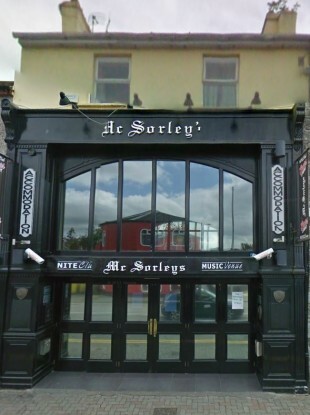 After two hours of evidence, the judge made an order awarding each woman €1,000 against McSorley’s of Killarney. Speaking after the ruling, Margaret Rose O’Neill said that the local travelling community had been massively impacted by suicide. “We were reluctant to attend the event but were encouraged to go by our families as it was to raise funds for depression. Both of our husbands died by suicide and between us we have lost six members of our extended family in the same way. “I had been involved in supporting bereavement and mental health charities, attended charity events during suicide month, cake sales and family fun days, but to be refused access to this event, ticket in hand, because I am a Traveller was devastating. I have experienced discrimination many times in my life and in Killarney town, but this experience caused so much hurt to both of us, to our families and friends, we felt no other choice but to take it to court. Both women were represented by the Irish Traveller Movement, who welcomed the court decision. “These two women have shown tremendous strength and courage to seek to have the wrong that was done unto them highlighted and shows the particular difficulties Travellers are faced with, in particular with respect to mental health challenges and suicide,” Susan Fay of the movement’s Law Centre said. Email “Traveller women refused entry to charity event win District Court case”. Feedback on “Traveller women refused entry to charity event win District Court case”.